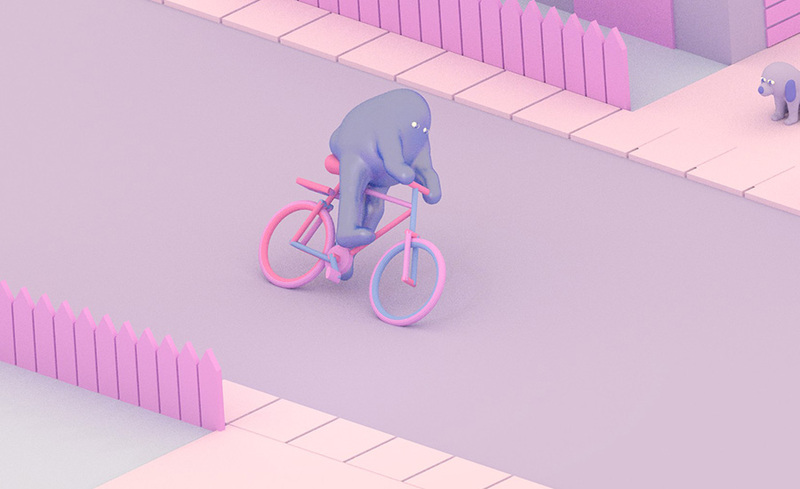 ‘Former baby, future ghost‘’: Julian Glander is a Pittsburgh based visual artist working on comics, video games, interactive toys, short films, and illustrations. 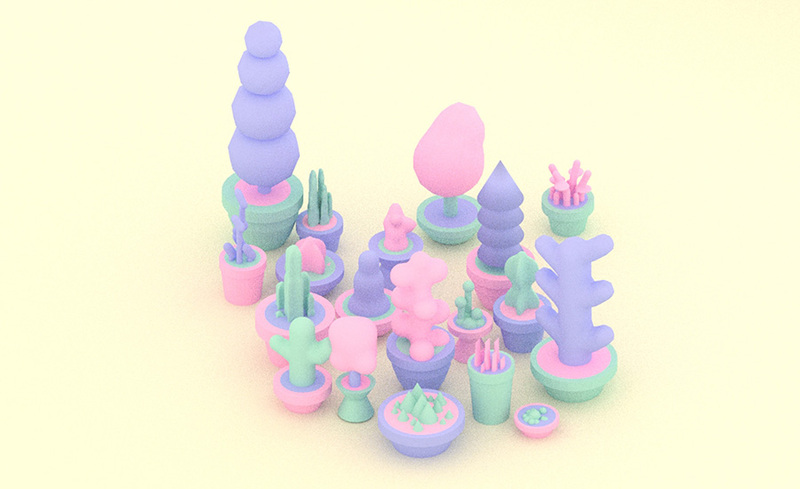 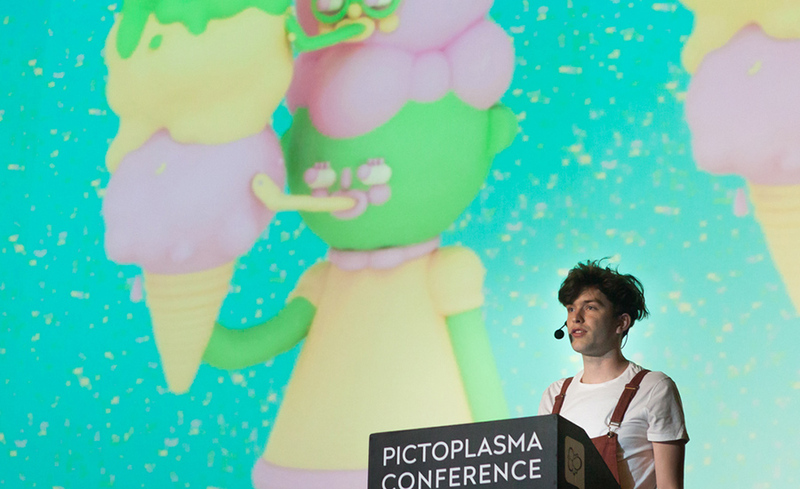 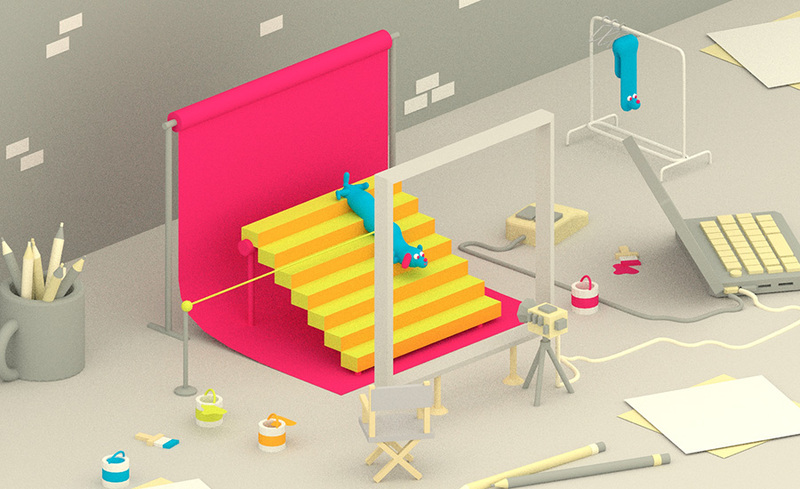 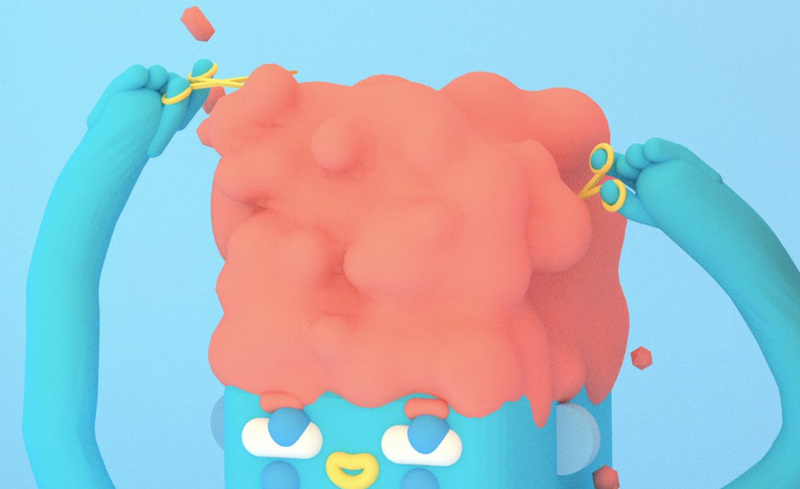 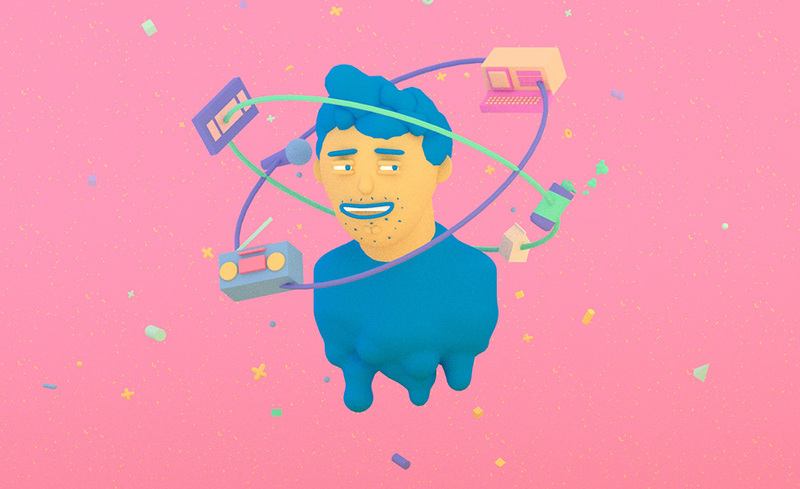 Julian is best known for his oddball infinitely loopable animated GIFs inspired by Claymation. 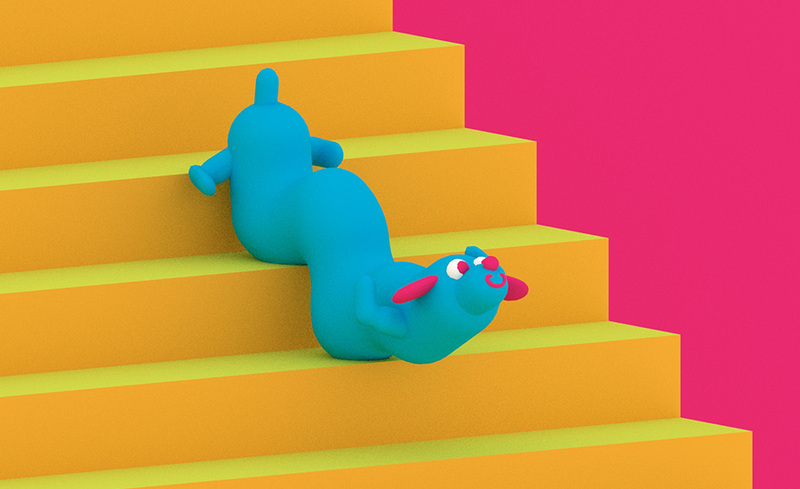 His Gumby-like animations have appeared in all sorts of places, including music videos, Subway commercials and Starbucks ads. 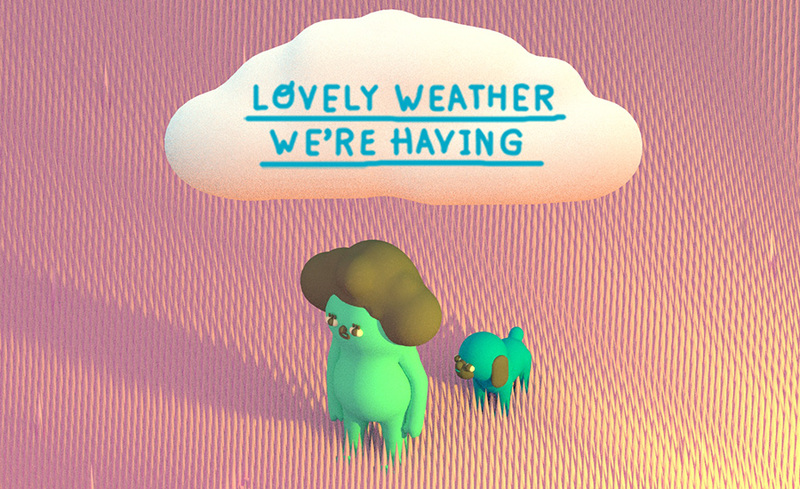 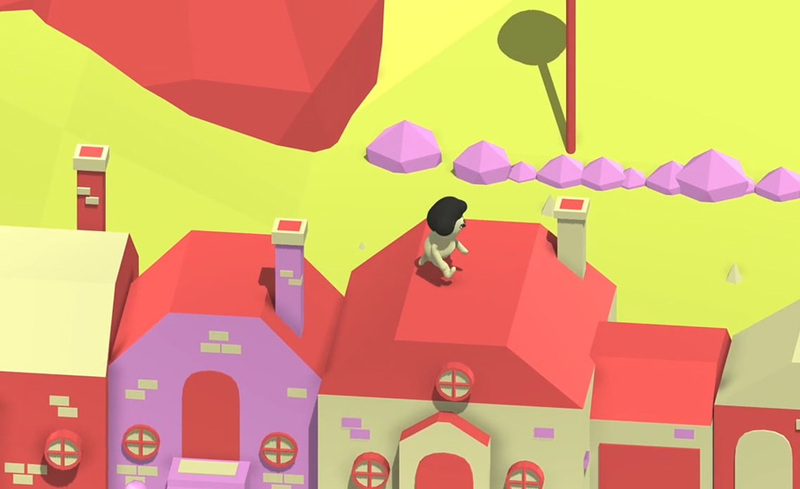 His recently released video game ‘Lovely Weather We’re Having’, designed in collaboration with programmer Eugene Burdan, is an open-ended, vibrantly coloured world, in which you play as a woman locked out of her house and left to amble through a mystifying neighbourhood.